María Conde is a 1.87m Spanish international Small Forward born in 1997 who won 4 Gold Medals in European Youth Championships (U16,U18,2xU20), 1 Silver Medal in the U17 World Championship in 2014 and 1 Gold Medal in the Senior European Championship played in 2017. María Conde was selected in U20 European Championship 2017 First Team and she is an extremely talented player with multiple skills and versatility in her game. María is currently one of the best young european small forwards and she has a bright future at the highest level ahead of her. María Conde started playing basketball when she was just 10 years old and with Estudiantes she became U14 and U16 Madrid Champion (being the top scorer in U16) and won also the MVP in the U18 Madrid Championship. In the 2013 summer, Maria Conde won the Gold Medal in the U16 European Championship and she averaged 8.3 points and 4.3 rebounds in 23 minutes per game. One year later, in the 2014 summer, Maria Conde won the Silver Medal in the U17 World Championship, averaging 6.7 points and 6 rebounds per game. In the 2014/15 season, María Conde made a big impact in Spanish Liga Femenina 2 and averaged 15.8 points, 6.7 rebounds and +15.6 efficiency per game. María Conde took the reigns of the U18 Spanish National Team in the 2015 summer and she won again the Gold Medal and averaged incredible 16.3 points and 10.8 rebounds per game. María stepped up in the crucial games and had 18 points and 17 rebounds against Belgium in Quarter Finals, 20 points and 8 rebounds against Italy in the Semifinals and 21 points and 16 rebounds against France in the Final, being the real leader in a team that had to play at really high level in order to win the Gold Medal. María Conde also played the U19 World Championship during the 2015 summer and she averaged 6.3 points and 2 rebounds in 15 minutes per game, reaching the Semifinals. María Conde played for Florida State in the 2015/16 season and as a freshman she averaged 3.9 points and 2.1 rebounds in 17 minutes per game, reaching the Sweet 16 and finishing the season with 25 wins and only 8 losses. In the 2016 summer, María Conde took again the reigns of the Spanish National Team and won the the Gold Medal in the U20 European Championship, scoring 17 points and grabbing 7 rebounds against Russia in Semifinals and scoring 20 points and grabbing 8 rebonds against Italy in the Final (71-69). María Conde stayed at Florida State during the 2016/17 season and she averaged 3.3 points and 1.9 rebounds in 15 minutes, reaching the Elite 8 and finishing the season with 29 wins and just 7 losses. In the 2017 summer, María Conde won the Gold Medal with Spain the European Senior Championship played in Czech Republic. Few weeks later, María Conde won also the Gold Medal in the U20 European Championship palyed in Portugal and she averaged 15.4 points, 5.6 rebounds and +15.3 efficiency per game, being named in the Championship First Team. 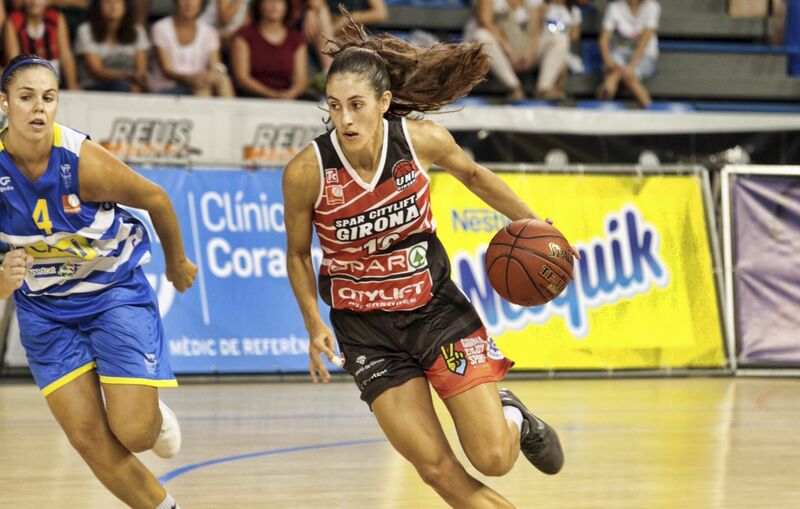 In the 2017/18 season, María Conde signed in Spain with Uni Girona and she averaged 7.6 points and 3.9 rebounds in 18 minutes per game in Spanish League, reaching also the Eurocup Quarterfinals. With Girona, María Conde reached the Spanish League, Cup and Supercup Finals.